FBN’s Charlie Gasparino reports that DOJ Antitrust chief Makan Delrahim says he is “open” to T-Mobile and Sprint’s argument that if the two carriers merge, they will be able to help the U.S. win the 5G race against China. U.S. Department of Justice Assistant Attorney General for the Antitrust Division Makan Delrahim is said to be “open” to an argument made by officials at the telecom companies, that approving the merger between the two would help the U.S. compete in the global race to lead 5G, FOX Business has learned. Delrahim’s apparent willingness to be persuaded by the central argument made by company executives is seen as a positive development in favor of the deal receiving regulatory approval, according to people with direct knowledge of the matter. Sprint and T-Mobile need the nod from both the Federal Communications Commission, and the DOJ Antitrust arm to make the $26 billion proposed merger a reality. FCC generally follows the lead of the DOJ in such matters, making Delrahim’s opinion on whether the deal violates antitrust laws the most important hurdle for the companies to overcome. People close to Delrahim tell FOX Business that the antitrust chief has not made up his mind on the transaction, and a formal decision could be months away. This leaves the chance for new factors to also persuade him to move against approving the merger. Still, the 5G argument made by the companies is now gaining steam within the Trump Administration, and some observers say President Trump himself is concerned that falling behind in 5G could cost the U.S. economy billions and it also presents a major security concern, especially against China. “Makan is interested in hearing the 5G arguments and open to hear more,” said one person with direct knowledge of Delrahim’s thinking. A DOJ antitrust spokesman had no comment. For months, T-Mobile CEO John Legere and Sprint CEO Marcelo Claure have been pushing the argument that if the deal goes through, it will give the U.S. a considerable edge to advance 5G or Fifth Generation Technology, ultra-fast network service. The four major U.S. wireless carriers AT&T, Verizon, T-Mobile and Sprint, are locked in a fierce race to develop the technology, and are not just battling themselves, but with foreign adversaries such as Huawei, a Chinese-government backed telecommunications firm that has been accused of violating U.S. laws concerning trade secrets. T-Mobile and Sprint are considered the two weakest U.S. players in the 5G race and Delrahim, meanwhile, must contend with possible antitrust consequences that may arise with the number of major US wireless carriers shrinking by one, and whether that might lead to higher prices for consumers. 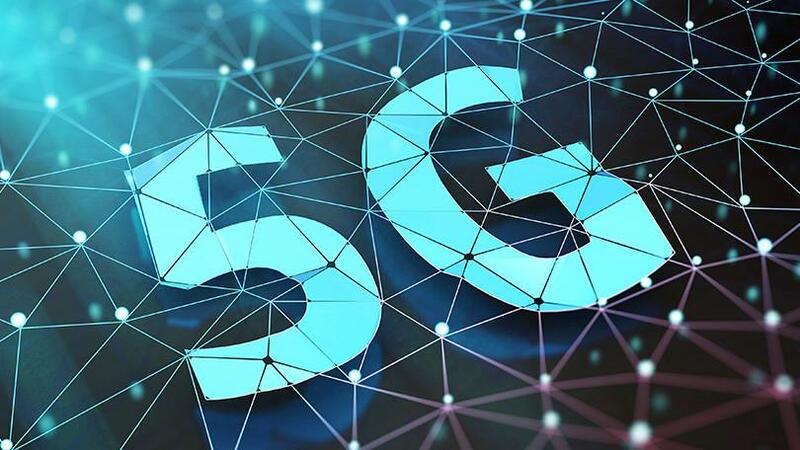 5G is heralded by many, including Sprint and T-Mobile, as critical to maintaining U.S. telecom dominance and imperative to create new technologies like smart cities, automated cars, and the internet of things. One telecom trade organization, Cellular Telecommunications Industry Association, estimates 5G will create more than 3 million jobs and more than $500 billion in economic growth. America’s dominance of 4G allowed American companies like Uber, Snapchat, and Venmo to launch and flourish. While it’s unclear whether the deal will win approval, its growing increasingly clear that in recent weeks Delrahim has grown comfortable with the 5G argument. Initially antitrust experts thought the 5G argument would fall flat with the DOJ since the importance of a telecom network doesn’t necessarily address antitrust concerns about consolidating media companies. Now, sources close to Delrahim are saying he recognizes that to compete with China, the U.S. needs three strong wireless telecommunication providers. Both Sprint and T-Mobile stock spiked following the FOX Business report that Delrahim would weigh the importance of 5G when making a decision on the merger.